What happens when a monster in a dungeon retires to let a new boss take over? There are a lot of changes, and not all of them for the best for the game! 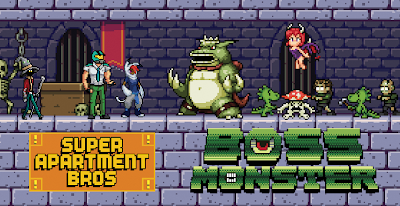 "New Boss Monster" was animated by me and co-written by myself and my co-producer Luke Dornbush. 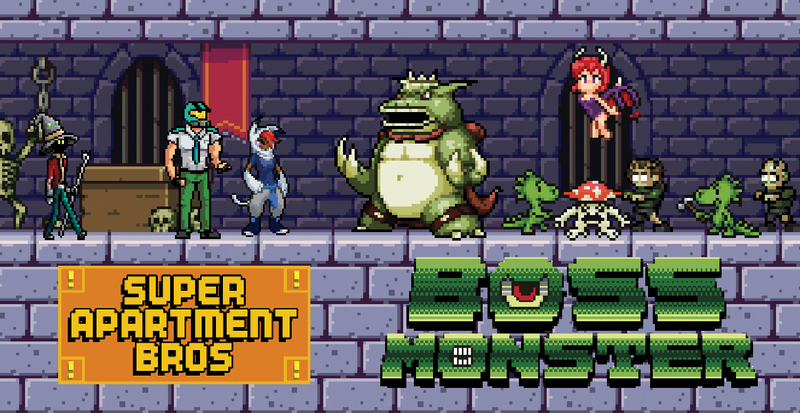 "New Boss Monster" was produced for the Machinma Interactive Film Fest and in collaboration with the team behind the Boss Monster Card Game as you can see by the use of their sprites for the animation. We ran into a tight deadline and had to juggle some animators last minute so there parts we wish we could have spent more time on, but in the end we're happy with it all. More animations like this to come? Keep watching and find out! Now that the video is posted, I would like to encourage anyone who is reading this to please take a moment and check out the video and share it online. As a creator it really help me out, even just a simple like, tweet or post about my work. Thank you in advance!